The launch of Amazon Australia has sent a ripple of excitement through the retail industry, with big changes expected to follow. In light of this, we conducted a survey of all Neto merchants to take a temperature check on sentiment towards Amazon, and to understand more broadly how (or if) marketplaces like Amazon, eBay, Catch of the Day and TradeMe fit into our retailers’ business strategies. And the results were overwhelmingly positive - marketplaces will be where it’s at in 2018. Here’s some of the key findings. No '95' isn’t a typo. The results from our survey of more than 200 retailers revealed that 95% of retailers intend to sell on Amazon in 2018. And a further 39% of retailers said they will sell in as many marketplaces as possible in 2018. 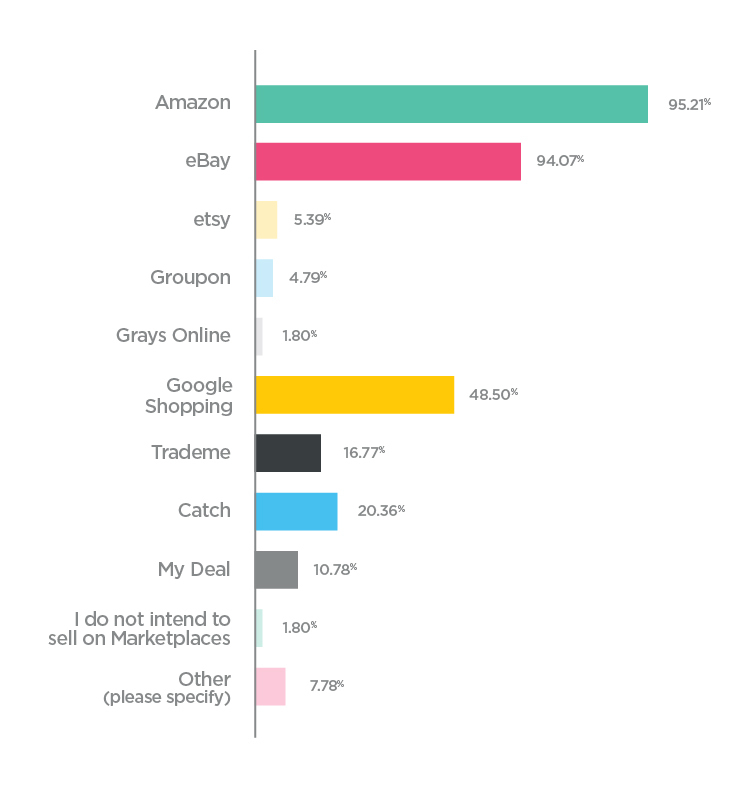 For those trading on marketplaces prior to the launch of Amazon Australia, a huge 52% of sales, on average, came through marketplace channels including eBay, Google Shopping and Catch of the Day. Neto merchant and marketplace veteran, Cycling Deal, has been selling bicycle parts and accessories since 2005 in Australia and around the world, and reportedly sells twice as much on Amazon US as every other channel combined. 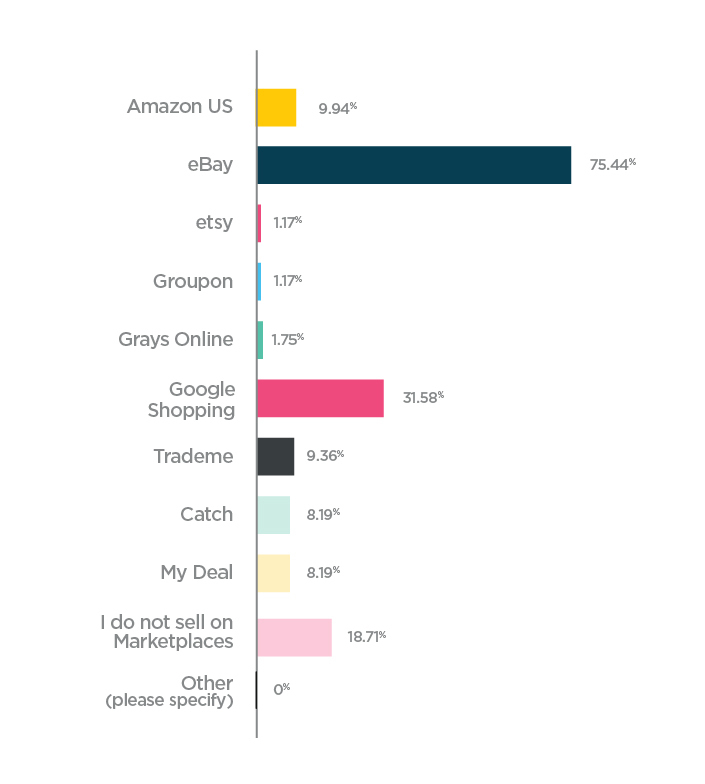 Cycling Deal sells twice as much on Amazon US than other channels. These findings come after the Neto State of Ecommerce Report, released just last month, found that shoppers are also turning to marketplaces, with 39% of shoppers surveyed using marketplaces as their primary channel to buy online. Download our guide on top online marketplaces to discover where you can find more customers and make more sales. Of the merchants who plan to trade on marketplaces in 2018, 18% predicted that 75% of their total sales will come from marketplaces, and 54% of respondents expect marketplaces will make up 5-25% of sales. Percentage of sales expected to come through marketplaces in 2018. Neto have been helping thousands of retailers sell via eBay, web and physical stores for over 8 years, and launched their Amazon Australia integration on the same day that the marketplace officially landed in Australia. The Neto Amazon integration provides retailers with an easy way to register products, manage listings, inventory, and sales for Amazon orders from the one central platform. Interested in getting started with Amazon? Start a free trial or download our free Amazon Guide.